Print studio Colours Alive! is located within Singapore’s Bras Basah Complex, at 231 Bain Street. 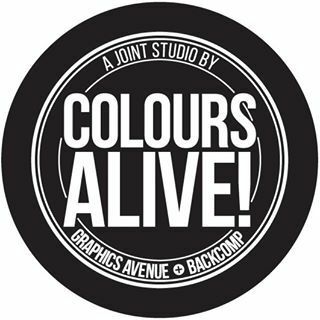 Established in 2004, Colours Alive! by Graphics Avenue is a print studio with a wide variety of services for individuals & businesses. …Vouchers & Invoice Books, Posters & Banners, Stickers, Product Packaging, as well as Direct Mailers. For offset printing especially, the company’s services feature Pantone Spot Colour, Colour Matching* (Selective), Consultations (Colour, Materials, Artwork), Post Production, Hotstamp / Emboss, Spot UV, Die Cut, and Lamination. The official Colours Alive! / Graphics Avenue Facebook page is located at www.facebook.com/graphicsavenue/. You can also follow the official Colours Alive! Instagram account, which in turn is available at www.instagram.com/colours.alive/.